From chambermusictulsa.org: Hear chamber music the way it was meant to be heard – in a historic mansion! Join us for a special Friday night Salon Concert featuring the Calidore String Quartet. 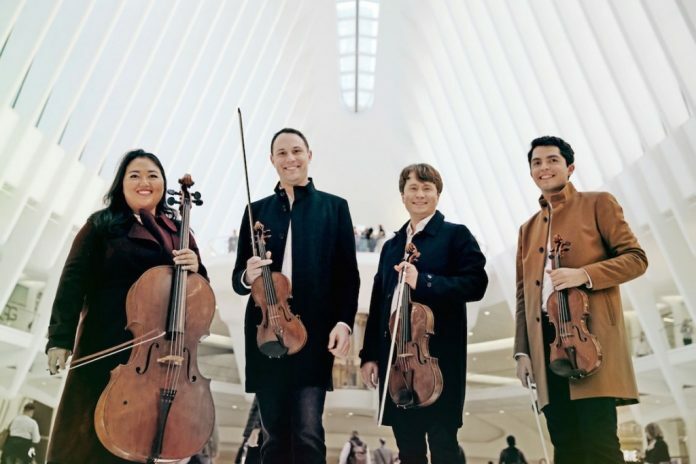 Among the most celebrated ensembles of their generation, the Calidore String Quartet’s “deep reserves of virtuosity and irrepressible dramatic instinct (New York Times) and “balance of intellect and expression” (Los Angeles Times) has won them accolades across the globe and firmly established them as one of the finest chamber music ensembles performing today. The expressive power of this quartet will sweep you away!